I have never seen this wine for sale here before, at least not where I shop. A historical wine created by Baron Philippe de Rothschild in the 1930s, I understand it is produced by the brimming lake-full as a second second wine blend from grapes sourced from all over Bordeaux – from the limestone soils of the Entre-Deux-Mers and Côtes de Bordeaux to the clay soils around Blaye and the gravels of Côtes de Bourg. A deep ruby colour. 13.5%. Euro aroma of fruit and savoury notes, spice and oak. …which I did. The wine didn’t improve any. Fell over more like. Not much depth. Semi vege. Shows at that bargain price the Baroness is not giving anything away. The gushing hype on the website is overrated. I can find better wine elsewhere for less. 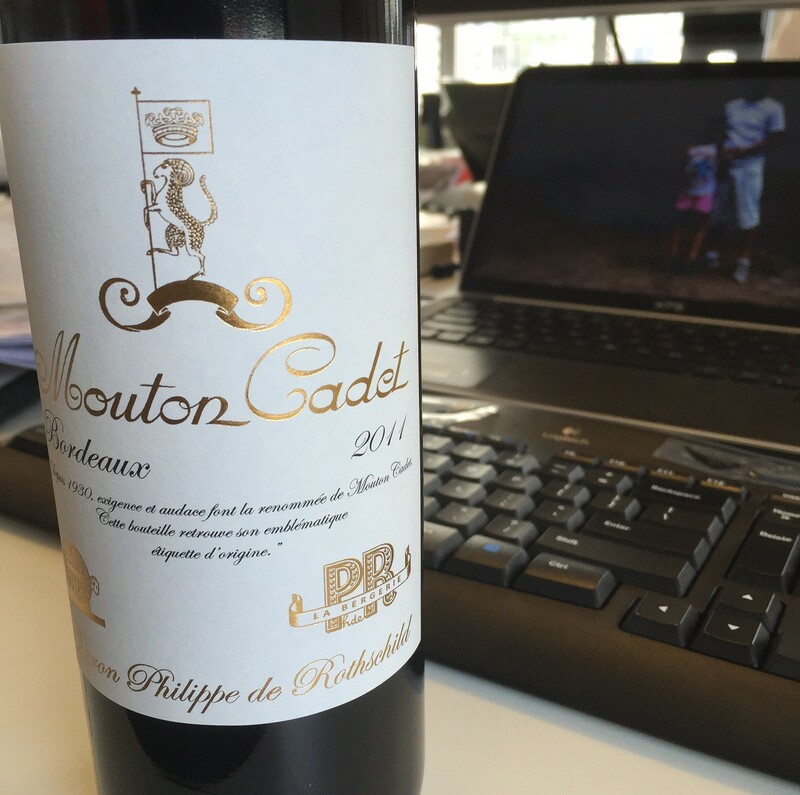 This entry was tagged $$, 2, 2011, Bordeaux, Mouton Cadet, Off Topic, Ok, Wine of France. Bookmark the permalink. So I was right! It was plonk.